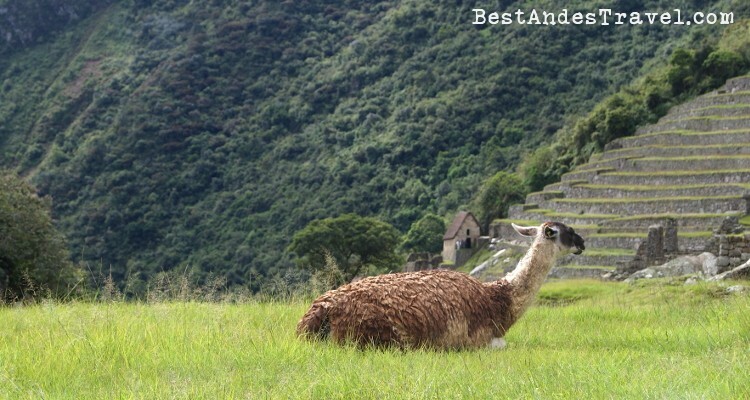 Behind the coast lies the Andean region, where alpaca and llama herds roam, women wear bowler hats, and the locals speak the Quechua language. 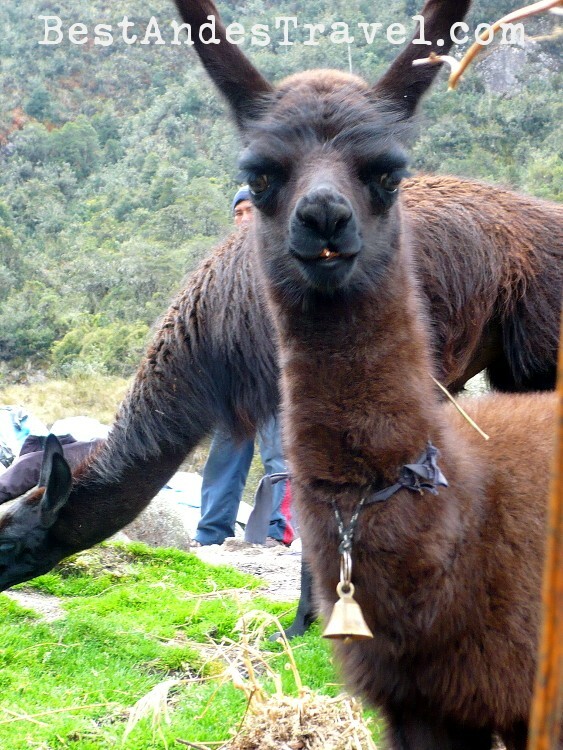 Llama is the pack animal with a course coat in as many as 50 solors, though one that’s unsuitable for weavings or fine wearing apparel. 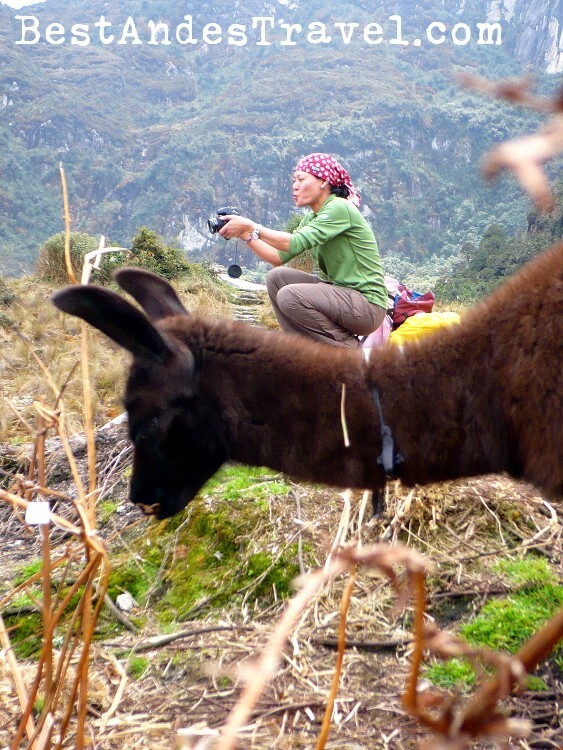 It can reach almost 2 meters (6 feet) from its hoofs to the top of its elongated neck and long, curved ears. 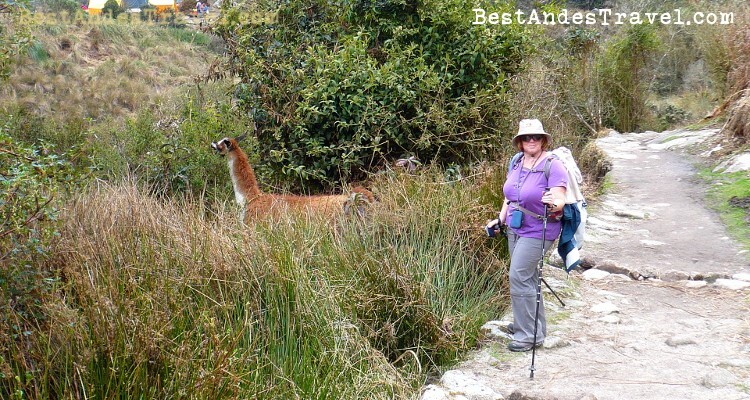 It can carry 40-60 kilograms (88-132 pounds), depending on the lenght of the trip. 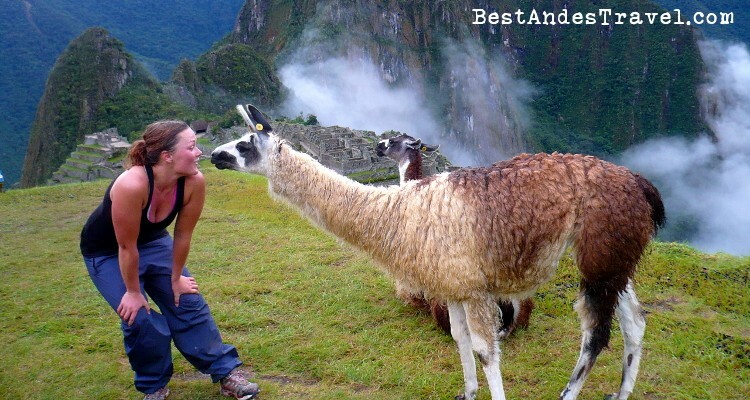 It can also have some nasty habits, like spitting in your eye or kicking you if you get too close to its hind legs. 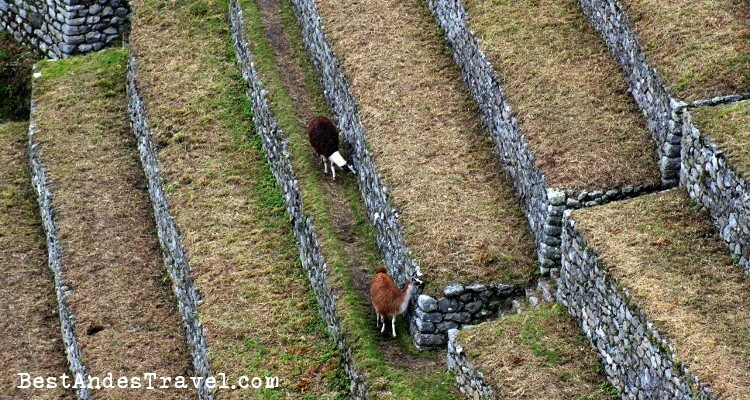 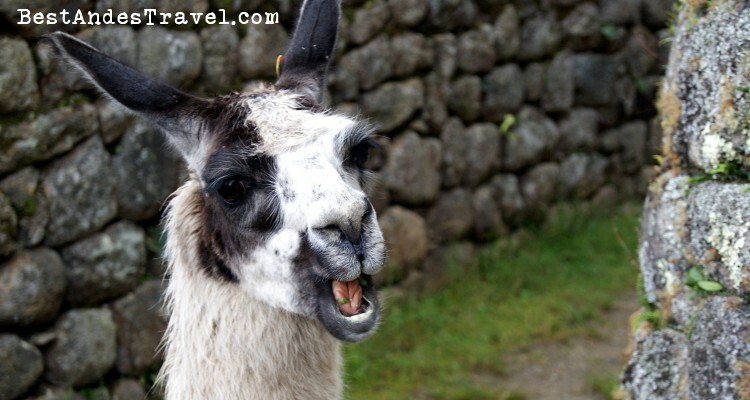 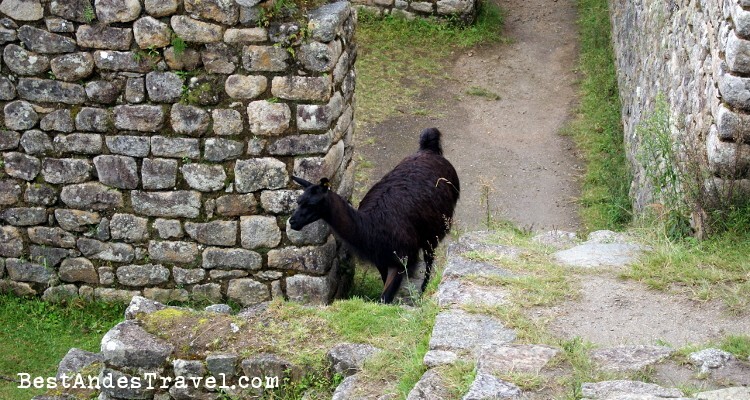 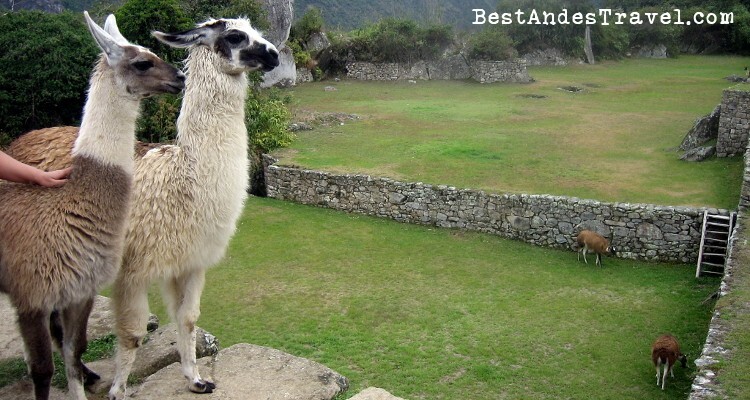 You can see llamas in Machu Picchu and also see in the Inca Trail. 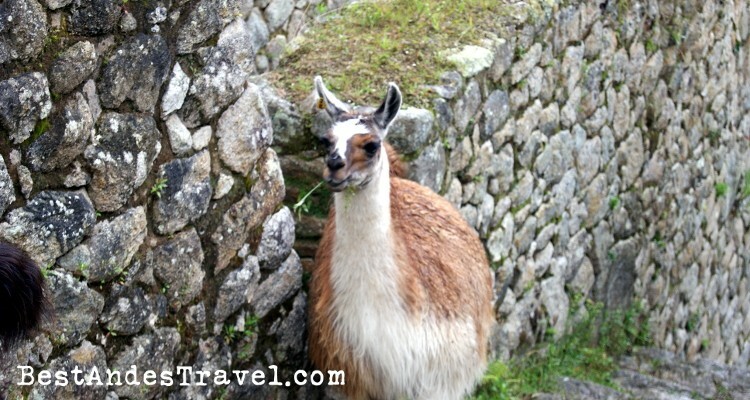 Trapped by a llama in Machu Picchu!